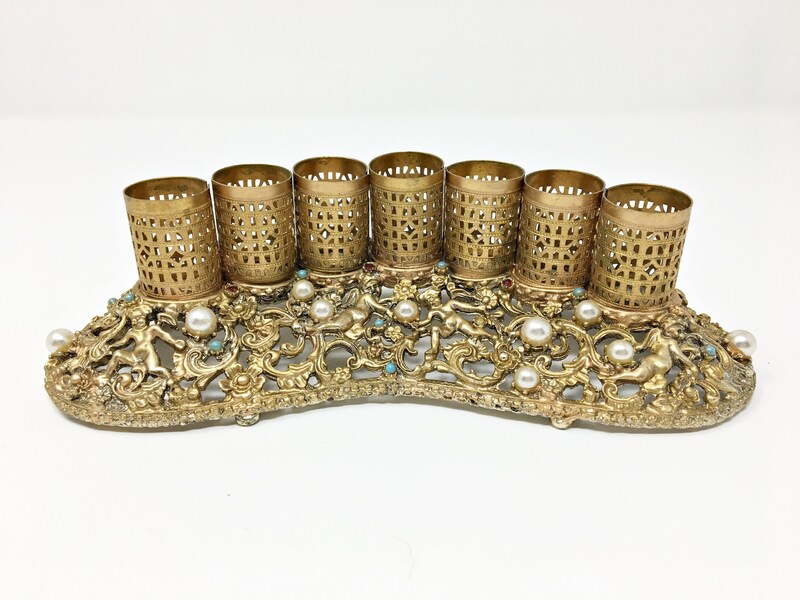 This lovely piece is absolutely beautiful to keep Lipstick in the Bathroom Vanity or Bedroom Dresser. 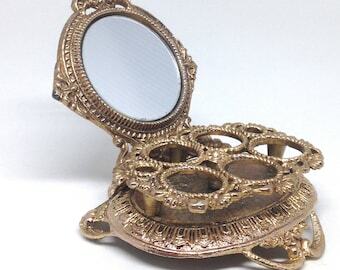 The perfect gift for anyone who loves vintage Vanity Accessories. 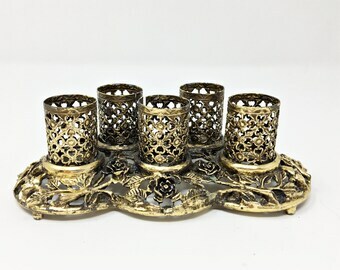 Sometimes, when I find Vintage Accessories Filigree Holder made out of Metal the sellers sell them dirty and peeling because after all they are all vintage and have been around for a very long time. I try my very best to fix them, clean them up and make them look more appealing like one of a kind. I try my very best to add some sparkle to them so they will look beautiful on your table or sink Vanity area. They are still vintage but they are just wearing a new Outfit. Please let me know If you have any questions.